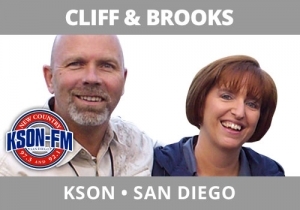 Here’s a terrific interview Karson & Kennedy at MIX 104.1, Boston did with Suze Orman. It’s great because the opening question (“what’s the one mistake people make when spending money at the holidays”) sets Suze up to be…Suze! She is a great story-teller, very authentic, and captures you with her honesty and perspective. One great twist was when Karson asked Suze about a letter he’d received in the mail from a past creditor asking for money. In this shift, Suze taught us something we didn’t know, the content stayed very relevant, and we learned about the talent, too. CBS-TV is running a PSA this holiday season encouraging men to buy the gift Santa can’t get their wives this holiday season, a Pap smear. So, Kevin Karlson at WZLX, Boston decided to call his wife what he was getting her this year. This break is excellent for a few reasons: first, it’s very funny. Second, listen to what he gets done in the first 30 seconds – he builds anticipation to hook you, and then introduces other audio elements (the PSA, his wife) to bring some dimension into the break. Finally, overall, we get the essence of his relationship with his wife, which sounds completely dysfunctional, and is the plot of our show! Oprah decides to retire her TV show and it’s time for some laughter. The one thing most make fun of is how over-the-top Oprah is when introducing a celebrity on her program. Enter Mojo in the Morning at Channel 95.5, Detroit, who asked his listeners to mock Oprah introducing a B-list celebrity of their choice on to her show. I love shows who make something from seemingly the smallest of things. Recently, Kim Berk, from Jim and Kim, Fresh 102.7, New York, broke the heel of her shoe. Challenged, her partner Jim Douglas and Producer Craig went to buy some cheap sandals to get her through the day. They took along a recorder and found a fun person in the shop to help. The moral of this story: always record what you’re doing so you can share the experience with the audience and make it come alive. 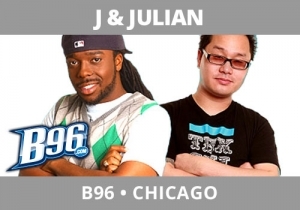 The thesis of the J and Julian Show on B96, Chicago is our multiculturalism. This is the aspect we play up big time. On a show with a distinctive African American, Asian, and Anglo perspective, we really reflect the vibe of the city. So it makes sense for Julian to call his Asian mother to tell her he’s bringing his Afrian American friend (J) home for Thanksgiving. Julian is his mom’s son! Listen to the fun and strategic character development happening. The holidays are here. Which means every husband will get his list of things that must be done around the house to prepare for visitors. 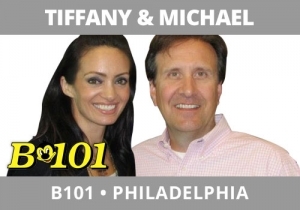 At B101, Philadelphia, Michael Chew is the average husband (and we say that affectionally!). As the new cast member of the Tiffany and Michael morning show, our short term goal is to burnish Michael’s credentials as a married guy. That’s why they put his wife, Nancy, on to detail the list of those things around the house which need to be done. Listen as Michael shifts to “husband mode” as he reacts to her lengthy to-do list! When a spouse goes out of town for work or to visit relatives for a short while, it’s natural to fill that time getting to know your neighbors or doing things with friends you haven’t seen in a while. But once that spouse returns, you must re-devote yourself to them. This was appropriately, if sardonically addressed by Karson and Kennedy, MIX 104.1, Boston, when Karson’s wife, Lana, returned from being away for a while. Karson called his new friend, Michael, on the air to “break up” with him after their brief, early summer bromance. Great radio is real. It comes from the talent letting listeners into their lives. Listen to this perfectly executed break as McKenzie lets the rest of the team know that she’s expecting a baby on The Scotty Show on Radio Now, Indianapolis. Are hairy chests back in vogue? Jim and Kim, Fresh 102.7, New York City saw this survey and, targeting women, believed it was a good topic to interact about with the audience. They also decided to talk with famous hairy chest celebrity Tom Selleck to get his take. They actually had an interview already scheduled with Selleck and realized they could’ve used that time to let him sell his TV show or have fun with him around a topic more appealing to the broader female audience. They chose the latter and put together this more entertaining content break. Anyone can do a Hollywood Report. But only Bill Tanner, on Cliff and Company on KSON, San Diego, can do one that rhymes. This strong, hourly benchmark draws in extra cume because it’s content is relevant and fun to listen to!